June 5, 2018 -- Does this sound familiar? Patients call to cancel at the last minute or just don't show up at all, leaving your scheduling coordinator frantically searching for someone to take the slot, which in turn makes it very difficult for you to meet your production goals. Ever wonder why patients don't show up for their appointments? Your schedule shouldn't be a source of stress and chaos, but if you're dealing with broken appointments on an almost daily basis, that's exactly what it's become. Unfortunately, this is a problem in most of the practices I work with. Many clinicians even think dealing with last-minute cancellations and no-shows is just part of life as a dentist. Not so. You'll never completely eliminate broken appointments, you can take steps take to significantly reduce them in your practice. But to do that, you have to understand why broken appointments are a problem in the first place. What are the most common reasons patients flake? What changes can you implement that will make patients actually want to keep their appointments? You know how important it is to maintain proper oral health, but many patients don't. They don't understand what can happen if they neglect their mouth and how much it could cost them down the road. That's where education comes in. When you have patients in the chair, take the opportunity to help them understand the value of the services you offer. Tell them about any problems you've found or conditions they have. Use educational videos, x-rays, and images to show them what you see. The more educated they are, the more likely they are to schedule and keep appointments with your practice. I also suggest you give them a card that lists the services you provided, the products you used, and any free products you sent them home with. When they see everything broken down, it gives them a greater appreciation for what goes into their appointment time and why it's so important for them to show up. Your patients are busy people who have to juggle work and family commitments. If they made an appointment with your practice six months ago, chances are it isn't top of mind when it's finally time for their visit. To help them remember, I suggest you confirm appointments with patients two days in advance via text, email, or a phone call, depending on what method they prefer. If they prefer to be called, remember simply leaving a voicemail or a message with their spouse isn't enough. You need to actually talk with the patient to confirm. I also suggest you consider a hybrid scheduling system rather than preappointing six months in advance. Identify the patients who flake out the most and let them know you'll be reaching out to schedule a few weeks before they're due for their next appointment. That way, they'll have a better idea of what their schedule looks like and will be able to make an appointment they can actually keep. Another idea my clients use is they go over appointment details with every patient when they schedule. Say something like, "Mr. Taylor, your one-hour appointment with Dr. Smith is scheduled for Tuesday, October 9, at 11 a.m. If you can't keep this appointment for any reason, please call our office at least two days in advance so another patient has the opportunity to see the doctor at that time." Establishing a clear policy will help patients understand why it's so important to keep their appointments, or at least it will give you plenty of notice if something comes up and they have to cancel. Be sure to communicate the policy to new and existing patients. When you do, take the opportunity to let them know how last-minute cancellations and no-shows disrupt your day. Many patients might not think about this or the fact that another patient could have taken their slot had they canceled a few days, rather than a few minutes, in advance. Politely reminding them will help ensure they either show up or let you know they can no longer make it. Broken appointments not only cause you and your team members extra stress, they also cost you thousands of dollars in lost revenue every year. If they've become a problem in your practice, now is the time to take action so you can boost your production numbers as well as your bottom line. 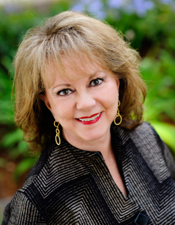 Sally McKenzie is the CEO of McKenzie Management, a full-service, nationwide dental practice management company. Contact her directly at 877-777-6151 or at sallymck@mckenziemgmt.com.